After Christmas week in Midland, I boarded the flight to Los Angeles. This trip carried a bonus. Orders required that we leave a base only in dress uniform. In winter that was the forest-green uniform with tan wool shirt and tan field-scarf (that is, a necktie). The utility work uniform we did not wear among civilians. The airline seated me at the front of the plane in a group of facing seats. Across from me already was seated a pretty young college girl who was traveling back from Colorado City, Texas, to Pomona, California. To show how much boot camp had changed me, my first thought was of my shoes. The dress shoes and hats issued in San Diego were brown leather. But Robert McNamara’s Department of Defense had decreed that all the military services were to adopt the same black dress shoe. We had spent a weekend dying our leather goods black and then spit-shining over and over until they gleamed. Spit-shining did not involve spit. We added water to the empty top of our cans of polish and dipped a cotton ball in the water before the polish. The DIs were supposed to see their reflection in our feet. 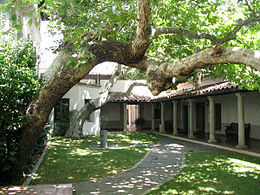 College, the all-girls branch of the five Claremont Colleges. The suburb of Pomona lay about an hour west of Los Angeles. As we approached LA, Susan agreed to let me visit her in Pomona on our weekends of liberty. Suddenly I had a social life. I could take the bus from Oceanside to LA. With a transfer ticket, I made my way through a hostile Los Angeles Bus Terminal and took another bus to Pomona. Boot-camp training films had warned us of the dangers of drug addicts and homosexuals in the Los Angeles terminal. My uniform, close-cropped hair, and pale skull (above the hat line) proved I was no student. But Pomona operated a homely hotel for visitors with an instant-coffee maker in the room. Since it was only January, 1964, the Californian students still viewed Marines as curiosities rather than class enemies. We strolled around the campus and spent an evening watching Laurence Olivier’s Hamlet at the local movie house. To return to combat training at 2nd ITR depressed me. The company spent weekdays marching off to training areas to learn to throw grenades, fire bazookas (an anti-tank weapon), and study map-reading — among many skills. One of my most vivid memories brings back a day practicing combat in built-up areas (i.e., towns). Another recalls an ancient staff sergeant teaching us squad hand signals and formations. The instructors took us into a trench one by one for grenade practice, because some trainee was always likely to pull the pin, panic, and drop his live grenade. The instructors knew to grab the grenade and fling it out before the explosion. But every now and then the grenade exploded in the trench. That would wound or even kill the men. The rest of the weapons were not so dangerous, so long as you did not stray in front of the muzzles. Camp Pendleton issued us M-1 rifles (the famous Garand). Banged up, they may have been left over from the Korean War. We used them to fire at pop-up targets and stab dummies with bayonets. We kept them clean, but without the rigorous attention we had paid the rifles in San Diego. We learned to walk evening post as sentries. That meant spending the night at the guard house and operating the next day without sleep. Towards the end of ITR, the Navy used us as night-time aggressors against a battalion of Seabees being trained in basic infantry tactics at Camp Pendleton. That gave us the opportunity to move among the foxholes and requisition the heavy fur-lined Naval jackets from the sleeping Swabbies (my Dad had brought his fur-lined jacket home from World War II, but I foolishly had left it in the back seat of an open convertible one afternoon in Boulder, Colorado, and someone had requisitioned it from me.) We had no difficulty slipping into the Seabees’ perimeter but found no heavy jackets to steal. One morning C Company marched into the hills for an overnight bivouac. This introduced us to the pack system: the light marching pack, marching pack, field marching pack, and transport pack. 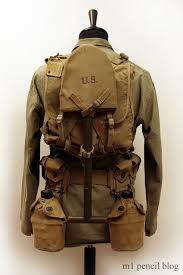 This was the M1941 Pack System from World War II, long since superseded (see http://www.ww2gyrene.org/782GEAR.htm?). We traveled with the field marching pack, which we topped with a rolled-up sleeping bag encased in a shelter half (part of a tent). All clothing and equipment fit in the pack in a prescribed manner. We carried an aluminum canteen on our cartridge belt, a bayonet, and an entrenching tool. The company marched off into the hills about 0700. Fourth platoon took up the rear, of course. With pack, entrenching tool, steel helmet, and the M-1 rifle slung over the right shoulder, we warmed up fast in the cold air. Our platoon struggled along in the rear of a long column. The front of the column would crawl up a hill while we stood still at the bottom. Then we ran to catch up. My glasses began to fog over so I could not see where I was going. My rifle was slipping off my right shoulder as I ran, so I grabbed it with the other hand. But then my camouflage helmet would jar up and down on the top of my glasses and threaten to push them off. I had only a few seconds to push my glasses back up with my right hand. Then the process started all over again. At least I was on the road. We were on a route march, which meant one platoon covered the column at the top of the hills on each side. M1941 Haversack, M1941 Suspenders, shelter half, e-tool. An “upgraded” Marching Pack designed for field marches that included bivouac. the troops). Then we learned how to heat and eat C-rations with a small Sterno heating element. The ration included crackers, a candy bar, and a canned meal. The canned food tasted as thought left over from World War II. Then we set up our shelter halves and unrolled our sleeping bags. We heard McNamara had decided to economize by issuing paper sleeping bags. These were a heavyweight paper with some kind of paper insulation. The scuttlebutt had it the Defense Department had intended them for a single use. In those days, the Marine Corps remained a stepchild of the Navy and never threw anything away. Our paper bags turned out to have been well used. The night was cold. We slept in skivvies (white T-shirt and white boxer shorts). We climbed into our sleeping bags in the dark. Then we discovered they had holes in them. The previous occupants had thrashed around climbing in and out. We were miserable. One Marine in an online forum confirmed this vivid memory. 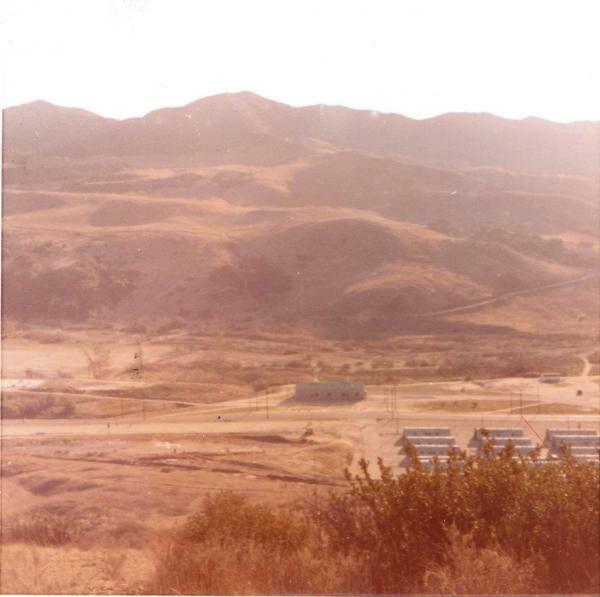 December 1963, I was at ITR, Camp Pendleton, and we used the paper sleeping bags for an over-nighter in the field. They made us strip down to our scivies [sic] for a very chilly night in a shelter half. I could hardly wait for my next assignment: Intelligence school at Landing Force Training Unit, Pacific. My MOS (military-occupation specialty) was not Infantry. Great story! I hope you make this into a book!